This article will show you how you can dynamically load the mvc layout page on selection of dropdown value. This article will help you on identifying or loading the master or layout page on conditional bases using c#.net in asp.net mvc. So for this article first we will create a new asp.net mvc application and add a controller class file and add the below code. 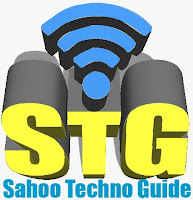 In above I have shown get and post method. 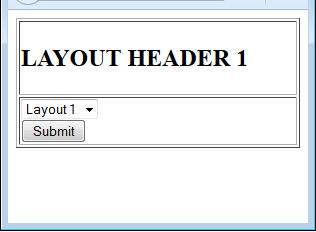 In post method I have passed the dropdown list value as a value of layout page. 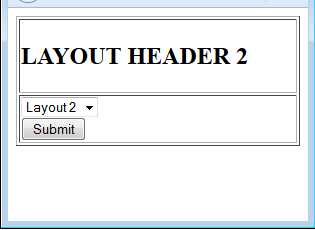 After this we will create two layout page by changing header value. Now create the view on action method and add the below code in it. In above code I have created a dropdown list in which I have defined layout name. Now check the above part of the code. In this code I have validate the viewbag value and on the bases of value I have changed the layout page. Now run the page to c heck the output. Now select layout2 and click on submit button. Just check the below image where i am capturing dropdown liat value and storing it in viewbag.